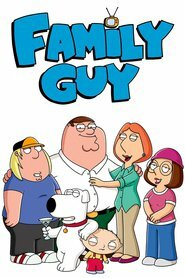 Living… the rest of his life in a wheelchair in Quahog, R.I. Joe was paralyzed from the waist down while pursuing a criminal one Christmas Day. While chasing the suspect, Joe slipped on a roller skate, injuring his spine and leaving him wheelchair-bound. Relationship Status… married to Bonnie Swanson. The couple have two children, Kevin and Susie. Kevin was an only child for longer than expected; for some reason Bonnie appeared to be pregnant with Susie for about seven years. Bonnie is soft-spoken and calm, making her a good balance to the outgoing Joe. Personality… determined and tough. Joe never lets his handicap get in the way of living life to the fullest. Joe Swanson's popularity ranking on CharacTour is #2657 out of 5,000+ characters. See our top-ranked characters and read their profiles.